Distinguishing Characteristics African-American female. Black hair, brown eyes. Carolyn wears eyeglasses. Her ears are pierced. Carolyn's maiden name is Walker. Some agencies may refer to her as Carolyn Denise Walker Brown and/or Carolyn Walker Brown. Her first name may be spelled "Caroline." Carolyn has a gap in her front teeth. Carolyn was married to James Michael Brown in 1985. They had three children together: Sheketah, Barry and Brandon. Carolyn and James had been married for ten years and were employed as teachers. The family resided in Port St. Lucie, Florida. The entire family disappeared on July 25, 1985. Carolyn's mother called police in August, worried because she had not heard from her daughter or her daughter's husband or children since July 4. Investigators did go to the Brown home but were initially unconcerned, as there were no obvious indications of foul play inside the residence. Carolyn's purse was located in a corner of the garage; inside it, every piece of her identification had been cut up. An uneaten meal was spread out on the dining room table. One of the rooms in the house had been freshly painted; a closer look revealed that the paint had covered up bloodstains on the walls, but this was not noticed until later. James resurfaced in Savannah, Georgia several weeks after his family's disappearances. He checked into the hospital under the name Demetrius Jones and stated someone had robbed him and shot him in the head. His true identity was discovered and he admitted he had murdered his wife and children and tried to to take his own life. 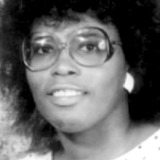 James told authorities that he shot Carolyn while she slept inside their home during the night of their disappearances. James said that Brandon was sleeping beside his mother; he claimed that he smothered the child with a pillow, then disposed of both of their bodies in Palm Beach County, Florida. He told investigators that he drove Sheketah and Barry to Brunswick, Georgia along Interstate 95 on July 17, three days after Carolyn and Brandon were murdered. James said he shot Barry in the head and his daughter in the face, then disposed of their remains along the highway. Several court-appointed mental health professionals diagnosed James as a paranoid schizophrenic; he stated he heard voices and saw visions. He was committed to a Florida mental health facility after the court's decision in 1985. He was moved to a halfway house in 1996 and released from the program in 1997. In 2005, however, he was imprisoned after he threatened to kill a bank clerk during a robbery. Carolyn, Sheketah, Brandon and Barry have never been located. Updated 3 times since October 12, 2004. Last updated November 3, 2018; details of disappearance updated.